Smartphone imaging components have improved a lot in recent years but the lack of an optical zoom is still a major disadvantage compared to traditional compact cameras. 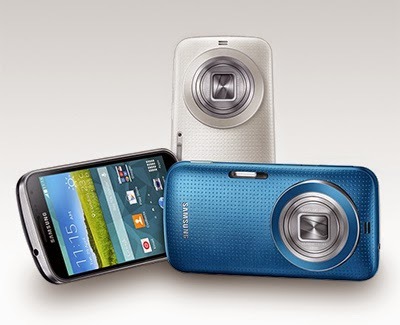 Samsung tried to bridge the gap with last year's Galaxy S4 Zoom but the device ended up being bulkier than its smartphone cousin, the Galaxy S4, without offering the same high-end specification. The new model offers a slimmer body than the S4 Zoom (18 vs 28 mm) and most of the smartphone components have been upgraded. The Super AMOLED screen has grown from 4.3 to 4.8 inches, but the 720p resolution doesn't match the 1080p displays of the Galaxy S5, HTC One M8 or Sony Xperia Z2. The 1/2.3-inch BSI CMOS sensor now captures 20.7MP images versus the S4 Zoom's 16MP. The 10x zoom lens offers the same 24-240mm equivalent focal range and F3.1-6.3 maximum aperture as the S4 Zoom and comes with optical image stabilisation. There is also a xenon flash and a 2MP front camera for the occasional selfie. For more information, visit Wired. Newsreel archive British Pathé has uploaded its entire collection of 85,000 historic films, in high resolution, to its YouTube channel. 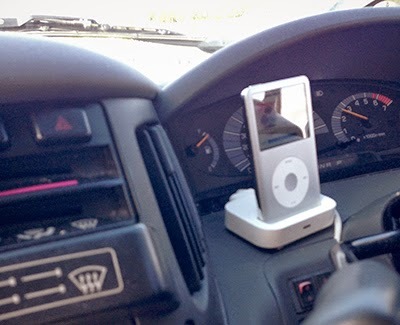 This is part of a drive to make the archive more accessible to viewers all over the world. 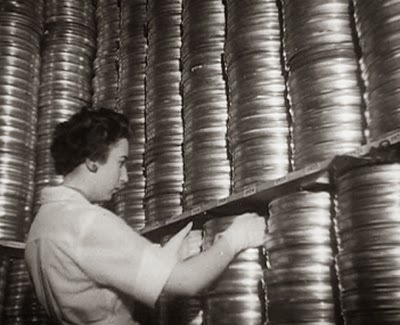 British Pathé was once a dominant feature of the British cinema experience, renowned for first-class reporting and an informative yet uniquely entertaining style. 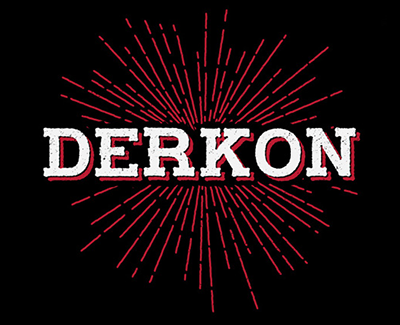 It is now considered to be the finest newsreel archive in existence. Spanning the years from 1896 to 1976, the collection includes footage – not only from Britain, but from around the globe – ofmajor events, famous faces, fashion trends, travel, sport and culture. The archive is particularly strong in its coverage of the First and Second World Wars. New Scientist has published an intriguing article investigating some of the latest research on why humans have a finite lifespan. "Death is the one certainty in life – a pioneering analysis of blood from one of the world's oldest and healthiest women has given clues to why it happens." "Hendrikje van Andel-Schipper was at one point the oldest woman in the world. She was also remarkable for her health, with crystal-clear cognition until she was close to death, and a blood circulatory system free of disease. 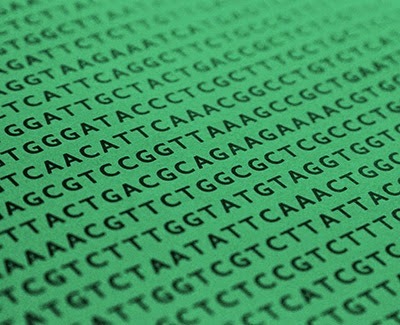 When she died in 2005, she bequeathed her body to science, with the full support of her living relatives that any outcomes of scientific analysis – as well as her name – be made public." "Researchers have now examined her blood and other tissues to see how they were affected by age." "What they found suggests that our lifespan might ultimately be limited by the capacity for stem cells to keep replenishing tissues day in day out. Once the stem cells reach a state of exhaustion they steadily diminish the body's capacity to keep regenerating vital tissues and cells, such as blood." "In van Andel-Schipper's case, in the twilight of her life, about two-thirds of the white blood cells remaining in her body at death originated from just two stem cells, implying that most or all of the blood stem cells she started life with had already burned out and died." When Lytro first introduced its light field camera two years ago, it shook up not just the world of photography, but of technology in general. Bundled inside a tiny rectangular block was a groundbreaking image sensor that could capture millions of rays of light along with their color, intensity and direction -- a task that previously required hundreds of cameras and a supercomputer. That hardware combined with some complex software meant that you could not only get a 3D image from a single shot, but also the ability to refocus a photograph after you take it. It's this latter trick that is arguably the Lytro camera's most identifying characteristic, and the one that put it on the technological map. The Illum lens has a zoom range of 30 to 250 mm with a very wide f/2 aperture across it. All you have to do is tap on an image to autofocus, and toggling through the different settings is just a touch and a scroll away. At the heart of the Illum is a 40 Megaray light ray sensor, which means it's able to capture 40 million rays of light (in contrast, the original only has 11 Megarays). The refocusing is much finer and more granular - we were able to focus in so tight on a labrador's nozzle that we could see its pores. In addition, the Illum has a mechanical shutter with a speed of 1/4000ths of a second, which Rosenthal says would make it great for sports photography. He showed us an example of a Lytro image where it captured a cloud of dirt as a motorcycle went around a dirt track. If you'd rather shoot things up close, the Illum has an extremely close-up macro capability as well, allowing us to zoom in really close on a pair of jeans and hone in on the stitches. Powering it all is one of the highest performance chipsets available; Qualcomm's Snapdragon 800. You get all of the same software tricks as before, like 3D imaging and post-shot refocusing, but you'll also now be able to adjust the depth of field in order to widen or narrow the focusing area. Additionally, Lytro has worked out a deal with Adobe and Apple so you can transfer those images to Lightroom, Photoshop or Aperture if you wish to work on them after you've adjusted the image's focus and depth of field. 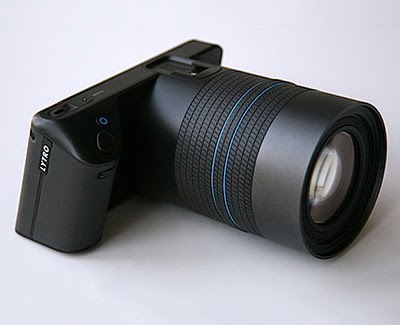 The Lytro Illum will be available July 15 for $1,599. copy is a new competitor to Dropbox. 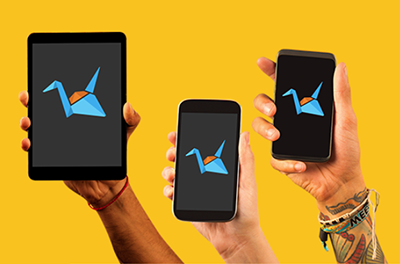 It offers a generous 15 Gigabytes of free storage, and is available on Windows, Linux, OSX, Android and iOS platforms. And, for a limited time, they are offering 5 extra Gigabytes of storage for each registered referral you make. If the killing of the Author of life could not extinguish this joy Jesus speaks about, nothing can — and nothing ever will. No opposition from the world, no opposition to the gospel, and no cultural despising of Christ, will overcome the resurrection joy of Jesus. 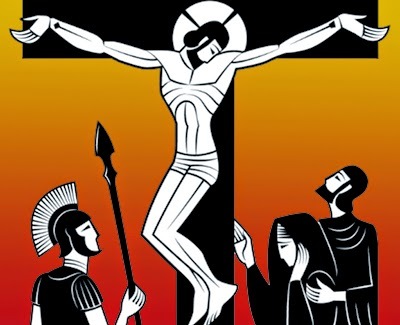 As we have seen this week, the unquenchable joy of Easter was birthed in the greatest trauma and tragedy and evil the world has ever unleashed — the murder of Son of God. Death, the Devil, demons and the coordinated rebellion of mankind all allied together cannot stymie this joy. Persecutors cannot steal this joy away. No power, no event, no enemy, can sequester the resurrection joy of Jesus Christ that burst out of the tomb with him. But if death is dead, and if the dead are raised — if Christ is risen from the dead! — brothers and sisters let us feast and celebrate, for the dawning light of our inextinguishable and inexhaustible eternal pleasures have broken into the darkness, offering us a life of joy in Christ that cannot fade or rust or be stolen away! But today one death, one brutal, gruesome death, the worst and best of all human deaths will leave upon the canvas of human history the darkest brushstroke. In Jerusalem, God the Son, the Creator of all that is (John 1:3), will be executed. The Jewish day dawns with night, and never has it been more fitting, since today the hour has come and the power of darkness (Luke 22:53). Jesus is in Gethsemane, where he has prayed with loud cries and tears, being heard by his Father (Hebrews 5:7) whose will will be done. Jesus hears noises and looks up. Torches and hushed voices signal the arrest party’s arrival. 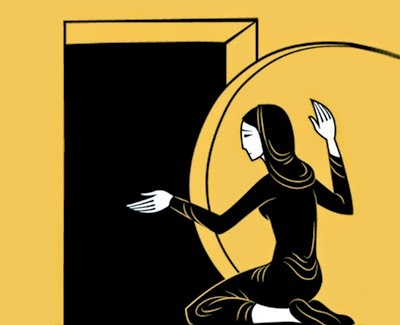 Jesus is led brusquely into to the house of Annas, a former High Priest, who questions him about his teaching. Jesus knows this informal interrogation is meant to catch him disoriented and unguarded. He is neither, and gives this manipulative leader nothing. Rather, he refers Annas to his hearers and is struck with irony by a Jewish officer for showing disrespect. Frustrated, Annas sends Jesus on to his son-in-law Caiaphas, the current High Priest. The trial has been assembled hastily and witnesses haven’t been screened well. Testimonies don’t line up. Council members look disconcerted. Jesus is silent as a lamb. Irritated and impatient, Caiaphas cuts to the quick: “I adjure you by the living God, tell us if you are the Christ, the Son of God” (Matthew 26:63). The hour has come. Charged in the name of his Father to answer, Jesus speaks the words that seal the doom for which he had come to endure (John 12:27): “You have said so. But I tell you, from now on you will see the Son of Man seated at the right hand of Power and coming on the clouds of heaven” (Matthew 26:64). In a moment of law-breaking (Leviticus 21:10) politically religious theater, Caiaphas tears his robes in feigned outrage and thinly concealed relief over Jesus’s blasphemy. He declares the trial’s end with, “What further testimony do we need? We have heard it ourselves form his own lips” (Luke 22:71). As the sun breaks over Jerusalem’s eastern ridge, Judas swings from his own belt, Peter writhes in the grief of his failure and Jesus’s face is streaked with dried blood and saliva from the pre-dawn sport of the temple police. The Council’s verdict: guilty of blasphemy. Their sentence: death. But it’s a sentence they cannot carry out. Rome refuses to delegate capital punishment. And the triune God has the Council, Pilate, and Satan where he wants them. They would have no authority over the Son at all unless it had been given them from above (John 19:11). Fallen Jews, Gentiles and spiritual powers unwittingly collaborate in executing the only innocent death that could possibly grant the guilty life. Checkmate. Twenty-five minutes later, Jesus is hanging in sheer agony on one of the cruelest instruments of torture ever devised. Nails have been driven through his wrists (which we only know about because of the doubt Thomas will express in a couple days (John 20:25)). A sign above Jesus declares in Greek, Latin, and Aramaic who he is: the King of the Jews. It is mid-afternoon now and the eerie darkness that has fallen has everyone on edge. But for Jesus, the darkness is a horror he has never known. This, more than the nails and thorns and lashings, is what made him sweat blood in the garden. The Father’s wrath is hitting him in full force. He is in that moment no longer the Blessed, but the Cursed (Galatians 3:13). He has become sin (2 Corinthians 5:21). In terrifying isolation, cut off from his Father and all humans he screams, “Eli, Eli, lema sabachthani,” Aramaic for “My God, my God, why have you forsaken me?” (Matthew 27:46, Psalm 22:1). No greater love (John 15:13), humility (Philippians 2:8), or obedience (Hebrews 5:8) has ever or will ever be displayed. Shortly after 3 PM, Jesus whispers hoarsely for a drink. In love, he has drained the cup of his Father’s wrath to the dregs. He has born our full curse. There is no debt left to pay and he has nothing left to give. The wine moistens his mouth just enough to say one final word: “It is finished” (John 19:30). And God the Son dies. Skala, Bjango's next generation interface design tool for Mac, is still under development but a component of it, Skala Color, has just launched — and it's free for everyone. Skala Color is a compact and feature-rich OS X color picker that works with a huge variety of formats, covering everything you're likely to need for web, iOS, Android and OS X development — Hex, CSS RGBA, CSS HSLA, UIColor, NSColor and more. 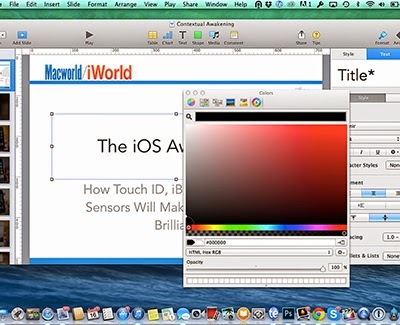 It also automatically recognises colours copied to the clipboard, presenting them as a swatch that can be applied with a single click. Digital Photography Review has published a full review of Fuji's fully-loaded mirrorless camera. Snippets from the conclusion follow. "The huge high-resolution electronic viewfinder is a joy to use, offering an excellent preview of how your images will turn out. Autofocus is impressively quick, and the X-T1 is one of the first mirrorless cameras that can properly track focus on subjects moving towards or away from the camera." 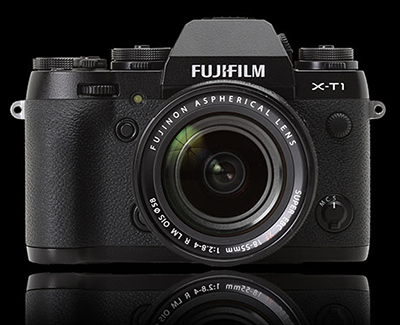 "Image quality is excellent; we've long been fans of Fujifilm's JPEG colour rendition, and the X-T1 doesn't disappoint. Colours are natural-looking, with consistently well-judged white balance, and skin tones in particular are nicely rendered. High ISO noise is well-controlled." "We think it offers potentially better image quality than the Olympus OM-D E-M1." The New Yorker has published an interesting article on the psychological reasons for hunger. "Here are a few of the things that can make you hungry: seeing, smelling, reading, or even thinking about food. Recent studies show that our physical level of hunger does not correlate strongly with how much hunger we say that we feel or how much food we go on to consume." "Traditionally, hunger has been seen as largely physiological: our body becomes depleted and, to maintain homeostasis — the body’s status quo — hormones are released into our bloodstream and stomach to signal to our brain that it’s time to replenish its resources." "Food deprivation, however, is generally not a problem in modern, developed societies. While our ancestors had to struggle to consume enough calories, we can just go to the fridge or the supermarket. From an early age, we learn to depend increasingly on external, socially, and culturally based cues." "Foremost among those factors is the time of day at which you learn to be hungry. 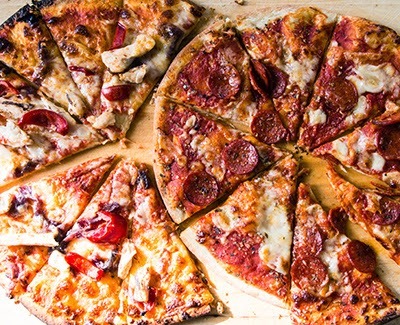 Your scheduled lunch break at work or your usual family dinnertime can reliably set your stomach growling. Even if you’ve had an unusually late or large breakfast, your body is used to its lunch slot and will begin to release certain chemicals, such as insulin in your blood and ghrelin in your stomach, in anticipation of your typical habits, whether or not you’re actually calorie-depleted." Our flagship product is the Faraday Porteur – the bike that was dubbed 'the ultimate modern utility bike' by the Oregon Manifest bicycle design competition. The Faraday Porteur will surprise your friends when you tell them it’s electric, and it will surprise you when you realise just how much is possible on a bicycle with a little 'boost'. Everything you need to ride safely and comfortably has been considered, from integrated front and rear lights to a sturdy, frame-mounted front rack, wood fenders, accessory bag, and 8-speed internal hub. 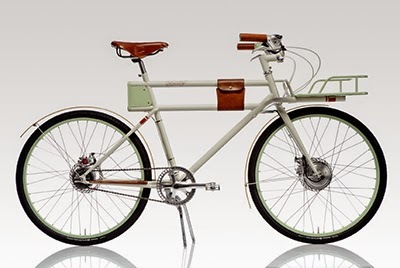 The Faraday Porteur. It’s for doing more than you ever thought possible – for keeping up with your friends, or leaving them in the dust. It’s your daily ride. It’s crazy fun. 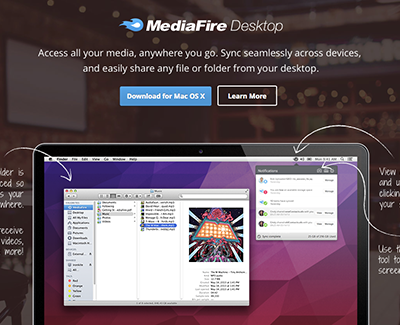 MediaFire today went live with its Desktop cloud storage service, offering users up to 1TB of capacity for just $2.50 a month for newcomers. The service normally charges $5 for 1TB of online capacity, but chopped that price in half for a limited time as part of its initial launch. As with other file-sharing services, MediaFire allows multiple users to collaborate on projects by sharing folders and files and offering controls on who can edit and who can view content. Users can invite others to connect through the service by sending a link through Facebook, Google+, Twitter, Pinterest, Blogger or email. There is also embedded-link sharing for online blogging platforms. Comic Sans wasn’t designed to be the world’s most ubiquitous casual typeface. 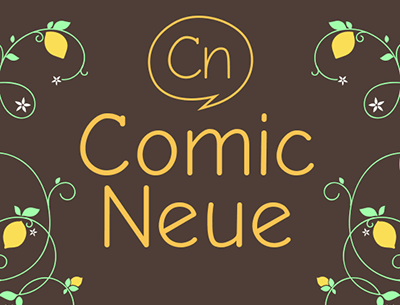 Comic Neue aspires to be the casual script of choice for everyone including the typographically savvy. DJI Phantom quadcopters are drones that take videos and photos from up in the air, like any basic helicopter shot you’ll see in movies. They’re effective, durable, and stay where they need to stay even if the wind is against them. And now the company is announcing their newest addition to the line: the Phantom Vision 2+. 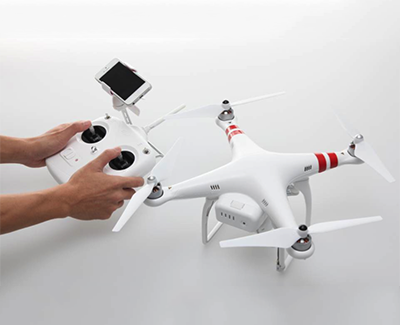 Like the previous DJI Phantom 2, this drone will feature a 14 megapixel camera that can film 1080p at 30 fps. Where the Phantom Vision 2+ really improves is in how well it works: it’s claimed to be able to keep its position in the air at wind speeds of up to 25mph. Along with the stabilisation it gets from that department, it’ll also have integrated in it a 3 axis stabiliser. The Phantom Vision 2+ comes with an app on both iOS and Android that enables you to shoot and watch at the same time, and you can do that with the drone up to as much as 2,300 feet away from you. The battery will give you 25 minutes of flying time on a full charge. So what about when it’s that far away and the battery’s dying? Or what if you lose signal with it? You’re covered. The Phantom automatically enables a “Return to Home” feature where it returns to the home GPS spot that you establish for it beforehand. 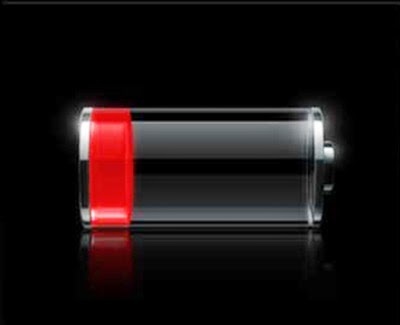 Buzzfeed has published a helpful article explaining a number of ways to reduce the drain on your iPhone's battery. 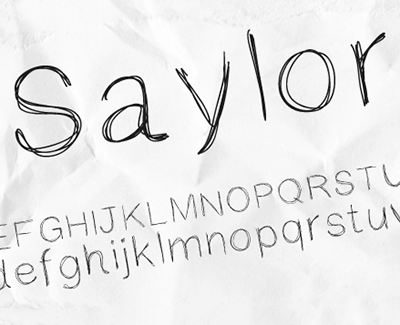 Eight One Six has made this distressed, all-caps typeface available for free download. The Nest Thermostat has been available in the US since back in 2012, but due to differences in the way heating systems work it has taken a year-long, 100-household trial to work out the best way to deliver it to UK consumers. 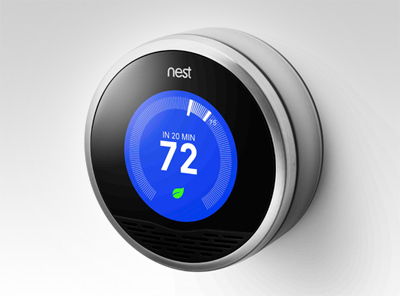 Nest says the Thermostat is compatible with “almost all central heating systems” in the UK. The Nest Thermostat 'learns' the temperature you like in your home at different times and adjusts accordingly. The result, according to Nest, are potential savings of somewhere in the region of 4 percent to 20 percent off your annual heating bill. According to its research, the average UK home spends around £1,300 per year on heating, and could save between £9 and £353 per year, depending on conditions, existing schedule and a few other variables. As well as learning your schedule over the first week or so (it doesn’t stop after this point, but those first few days will be the most instructive), it also has features like ‘Auto-Away’, which uses sensors in the device to recognise when there is no one around and therefore not to bother switching the heating on. Users can also review their energy usage history to see when they’ve been using the most, and see if there are any savings to be had at specific times. It’ll also encourage you to turn your heating down by rewarding you with a leaf symbol each time you are below your normal temperature. There’s a gamification element at work here too as your leaf count is tallied and your ‘performance’ reflected in your monthly energy report comparing you to other Nest Thermostat users. Handily, if you own a Nest Protect smoke alarm, the two devices can communicate with each other. So, say for example that the Protect detects carbon monoxide, it will instruct the Thermostat to switch the boiler off. The UK version comes with the Thermostat control itself plus a ‘Nest Heat Link’ that connects directly to the boiler. Users then have the choice of either wiring in the Nest Thermostat where the old one was, or if the old one is in an inappropriate place, using it without wiring it in. Nest is recommending that the Thermostat is purchased alongside professional installation for a total of £249, but it’s also available to buy as a standalone product for £179 from Nest’s website. It’ll also be available to buy from Amazon, B&Q, John Lewis and Apple. 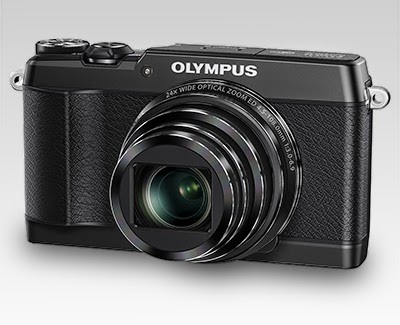 The Olympus Stylus SH-1 may look like a PEN mirrorless camera, but it's actually a compact travel zoom. It has inherited a feature from the PEN: 5-axis image stabilization. Other features of note include a 16MP BSI-CMOS sensor, 25-600mm equiv. F3.0-6.9 lens, touchscreen 3" LCD, limited manual control, 1080/60p video, and built-in Wi-Fi. It will be available in May in black, white, and silver for under $400.